Back in 2011, I visited LEGOLand for the first time. One of my purchases there was a Chewbacca keychain, which hung proudly off my keys for years. And it wore well, barely showing any major signs of wear and tear. Granted, the legs move much freer, but still a stalwart – like the real Chewie. 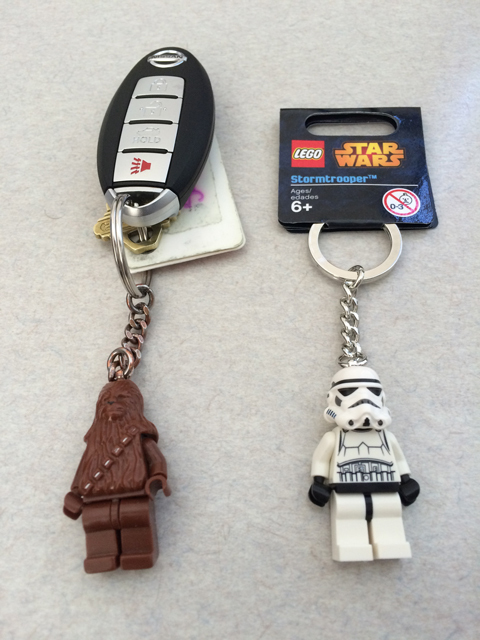 This last week, I decided I wanted a change of the LEGO key guard and found a Stormtrooper keychain. Looking very much like Cooper Trooper [but definitely NOT a replacement], this seems like a good fit for the next many years it will be attached to my keys. Speaking of Trooper Cooper, what’s up with him? He’s still around, mostly traveling in his case inside my backpack. He will most likely show up in my next trip to Disney World at certain rides. I retired Bossk earlier this year and bought a Hulk to replace him but never put it on my keychain. Currently no LEGO keychain. Nice! 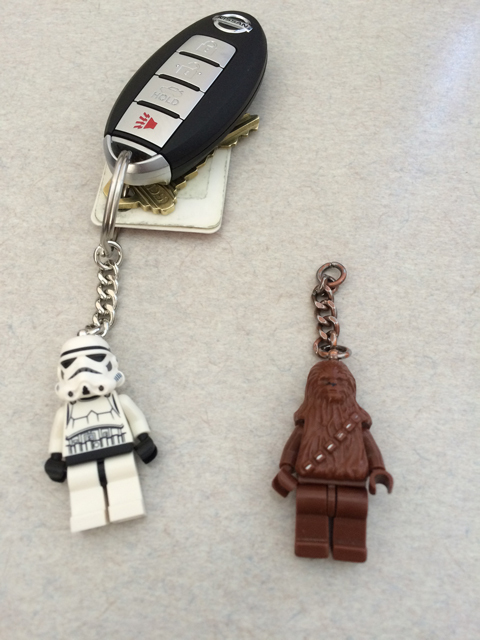 I used to have the Stormtrooper keychain but it broke and I’ve not replaced it with anything yet. May have to do that this weekend. For under $5, it’s a good time to do the replacement.